I would like for you imagine a world where everyone had a decent place to live. Homelessness would not be an issue. Substandard housing unfit for man and beast would not house families with children. This world would provide individuals and families with a safe, dry place to call home. Could this world in our imaginations be real? Could everyone who deserves to have a decent home actually have it? Does everyone really deserve a decent place to live? 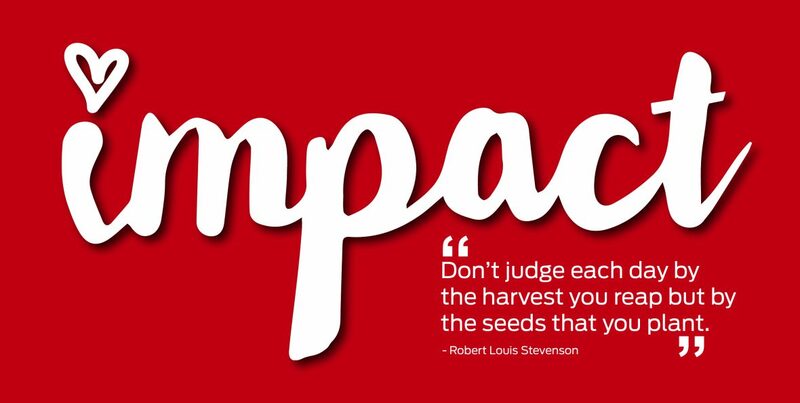 This week we volunteered with an organization that believes that we can create a world where this is true. Habitat for Humanity is christian non-profit that builds decent homes for families in need. Since its founding in 1976, Habitat has served over 2 million people worldwide by building over 500,000 homes. Habitat for Humanity builds houses and homes while building communities and hope. The girls and I didn’t get a chance to put on our tool belts and hard hats during our volunteer experience this week. For those involved in the construction of these homes, that is probably a good thing. We are not handy people by nature. Hammering a nail is actually hammering a thumb on most days. My one previous experience with Habitat was in demolition, not construction. It was a job I could handle. I used a sledgehammer to destroy the walls and ceiling of an old garage. This week, our volunteer responsibility was totally different. We volunteered a few hours in the Huntington County ReStore. The ReStore is a retail location used to raise funds for Huntington County Habitat for Humanity. Donations of household items, building materials, etc are accepted and then resold to the general public. All of the dollars generated go to support the building of simple, decent homes within the county. Twenty four homes have been built in Huntington County to date. Our time at the store was spent sweeping floors, dusting merchandise, and washing windows. I spent some time testing donated light fixtures in the backroom. On one occasion, I thought that I was going to set the place on fire when one of the fixtures sparked in my face. Thankfully, that did not happen. We spent two hours helping to tidy up the store. It honestly didn’t feel like we were much help, but the Habitat staff informed us otherwise. Our two hours of service were needed and greatly appreciated. Volunteering at the ReStore is great way to get involved and help the organization. You do not have to be good at construction or a skilled-laborer. You just have to willing to help out in the store environment. I personally know people who have wanted to volunteer with Habitat, but haven’t due to their lack of carpentry skills. The ReStore is a perfect fit for those individuals. The ReStore helps fund the construction of homes for those in need. It also plays a key role in community recycling. The ReStore is helping individuals save money while saving the environment. The Huntington County location has diverted over 641,000 pounds (320 tons) from the landfill since the store opened in November of 2008. That is in Huntington County alone. Imagine what that number looks like in bigger cities or even across the country as a whole. Donating items to the ReStore keeps them out of the dump. We all should consider donating our used items today. Habitat for Humanity is an international organization that impacts individuals, families, and communities. It doesn’t matter if you are in Huntington County, Indiana or Los Angeles, California, the mission is the same……To build decent homes using volunteers and donors for those in need. Remember that world we imagined earlier. A world where everyone has a decent place to live. Habitat for Humanity is making that world a reality. Take a minute to find the Habitat for Humanity office near you and get involved. You do not have to be home-builder or a carpenter to help. Invest some time in the ReStore and make a difference in your community. Everyone deserves a decent place to live. Do your part to help that dream come true. Thank you so much for volunteering at your local ReStore! 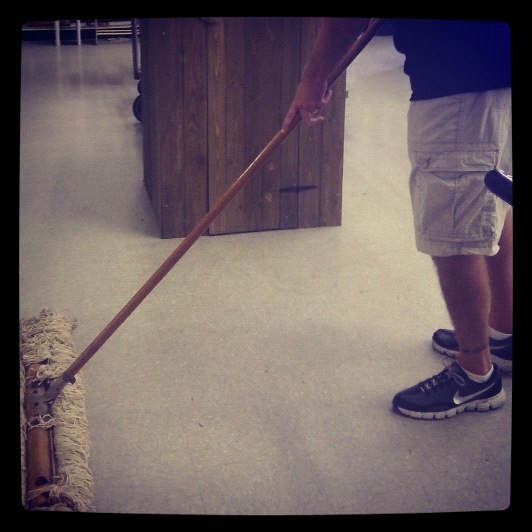 Every volunteer counts, and keeping the store clean is incredibly important! Thanks for sharing your experience!